As the world gets smaller, so does the global racing scene — and that leads to fierce competition for top-quality bloodstock in the global private market. 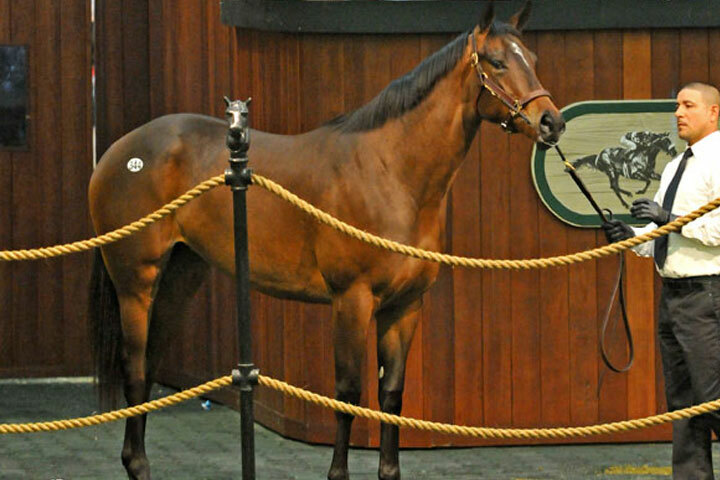 Therefore, while Eclipse still actively acquires racehorses privately, we also incorporate public auctions — both for yearlings and 2-year-olds — as a critical component of our scouting and acquisition process. One of the main distinctions between Eclipse and other partnerships is that we rely solely on our President, Aron Wellman, to evaluate, inspect and ultimately decide which animals to add to the stable. While most other partnerships outsource this critical function to consultants and bloodstock agents, Eclipse bears this responsibility entirely — there is no passing of the buck to third parties with no intimate connection to the company or our partners. We take tremendous pride in being able to uncover hidden gems in the vast world market, but we cannot do it all on our own — which is why we’ve assembled an elite team for yearling and 2-year-old scouting. For yearlings, Aron works closely with his lifelong mentor and Hall of Fame jockey, Eddie Delahoussaye. With his sharp-shooting approach and decades of horsemanship experience, Eddie consults on most of our yearling purchases at public auction. He is patient, selective, disciplined and remarkably shrewd, which makes him an invaluable member of the yearling scouting team. For 2-year-olds in training, we rely on the legendary stopwatch of famed private clocker, Gary Young. Gary has long been considered one of the most successful private clockers in the history of the sport. His keen eye, attention to nuance, and intuition are a rock-solid combination. In just 5 years, Eclipse and Young have established a Grade 1 standard virtually unmatched in the industry. As the Eclipse stable and partner base has grown, it has become necessary for the company to add another full-time major player to the team and in mid-2017, Eclipse added Jacob West as the company’s Vice President of Bloodstock. Jacob has a sharp eye for talent across all sectors of the industry and will play a vital role in assisting Aron at all public auctions and in scouting private deals for horses capable of taking our Eclipse partners to the top of the mountain. Whether a horse is acquired privately abroad or at a domestic auction, transparency about the horse and the partnership opportunity is essential. But it’s also important to educate our partners about the “it factor” we see: What makes us believe that this particular horse possesses the tools necessary to develop into a Graded Stakes-caliber runner? One of the best ways we can share our insights is by having partners join us at public auctions. This allows Aron to share his rationale as he performs his due diligence process and gives partners an illuminating behind-the-scenes experience. We want our partners to be informed, and we’re committed to empowering them with the knowledge we’ve acquired. The educational aspect of the service we provide establishes trust, and equips our partners with the perspective and skills they need to be effective owners. Many of our partners have only experienced the frontside of a racetrack on race day. They see the races being run, the gamblers placing their bets and the usual goings-on of a typical day at the track. But there is another side of this beautiful sport that we want our partners to understand, appreciate and embrace to the fullest. From barn and backside visits to attending public auctions, partners are encouraged to take advantage of the VIP access Eclipse offers. It’s like having access to practices, the locker room and courtside seats to your favorite sports team.